Lack of opportunity. Hunger. Malnutrition. Each of these coexists throughout Africa and results in crippling inequalities that lead to endless cycles of poverty. While eliminating these issues goes a long way toward providing a better life for those in the developing world, the solution isn’t as simple as just throwing money at the problem. That’s where Trees for the Future comes in. 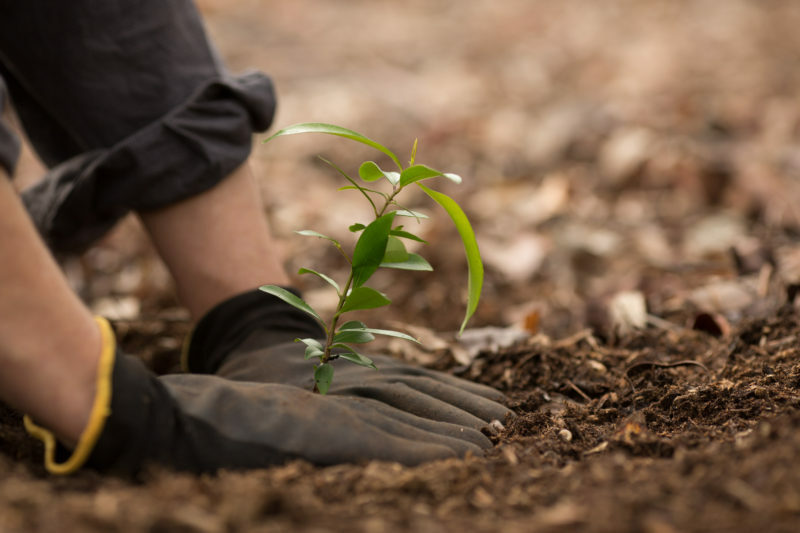 Formed by Dave and Grace Deppner in 1989, Trees for the Future has worked to plant more than 115 million trees throughout the world. 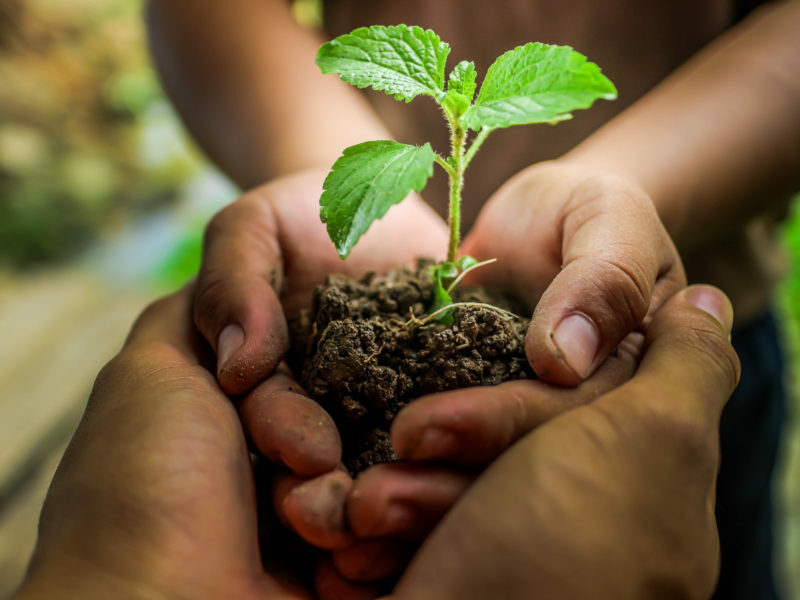 Though the planting of all those trees has revitalized hundreds of thousands of acres of soil that years of illegal logging operations and unsustainable land management systems have damaged, the real value comes from the Forest Garden approach. A sustainable livelihood is vital for strengthening a family’s economic security and self-sufficiency. According to the Brookings Institute, more than half of Sub-Saharan Africans live on under $1.25 a day, the international standard of extreme poverty. In a 2005 World Bank report, the findings show that throughout the world, more than 2.5 billion people survive on less than $2 a day, with three-quarters of the population of Sub-Saharan Africa falling into that category. 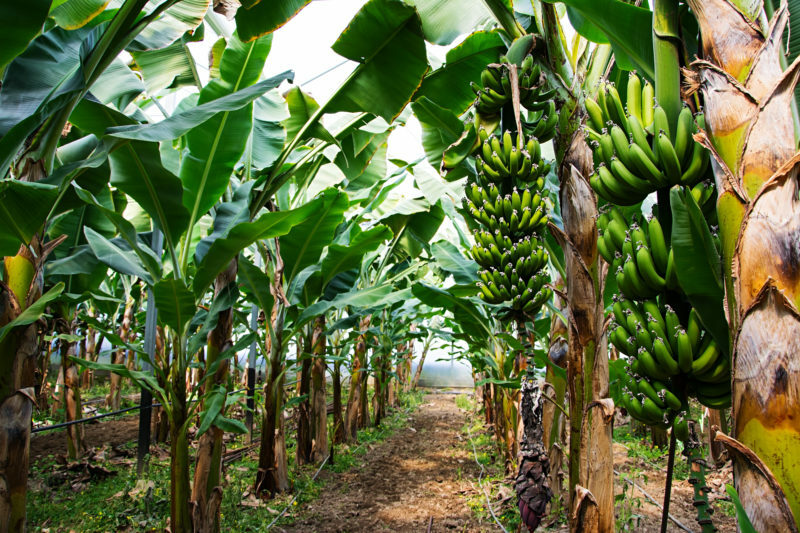 Forest Gardens provide a farming system that combines a wide range of locally appropriate crops and trees that not only feeds families but allows them to sell their crops for a profit. Forest Gardens delivers a sustainable source of food, and they also produce livestock fodder, fuel, and other forest products that families can consume or sell to their local communities. The program taps into the entrepreneurial drive and agriculture know-how of the local farmers and offers the chance to change the locals’ lives by increasing their income and restoring tarnished lands. Many of the people living in Sub-Saharan Africa must forgo their education and help their families by either joining them in farming unsustainable products like peanuts and maize or moving to crowded cities in search of dangerous, low-paying jobs. For Mate Mbaye of Senegal, patriarch of 25 immediate and extended family members, planting a Forest Garden not only changed his life but also the lives of his loved ones for years to come. 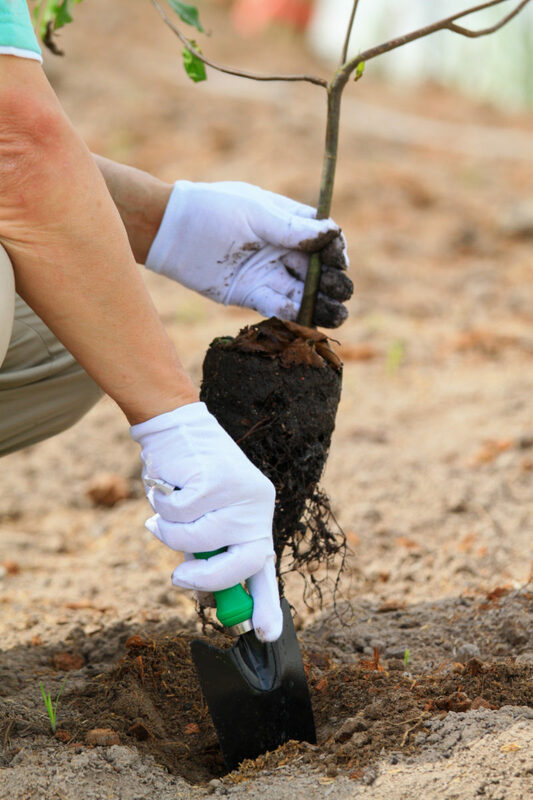 The Trees for the Future team taught Mate how to restore his old farm with beneficial trees and graft valuable fruit trees. He also grows seven different types of vegetables and a diverse range of fruit to help keep his family fed all year round. The end result of Mate’s efforts goes well beyond making sure everyone goes to bed on a full stomach. With the help of his Forest Garden, Mate’s children and his grandchildren have an opportunity to continue the family business and make a living through a sustainable farming operation. Breaking the cycle of poverty requires a multi-faceted approach. 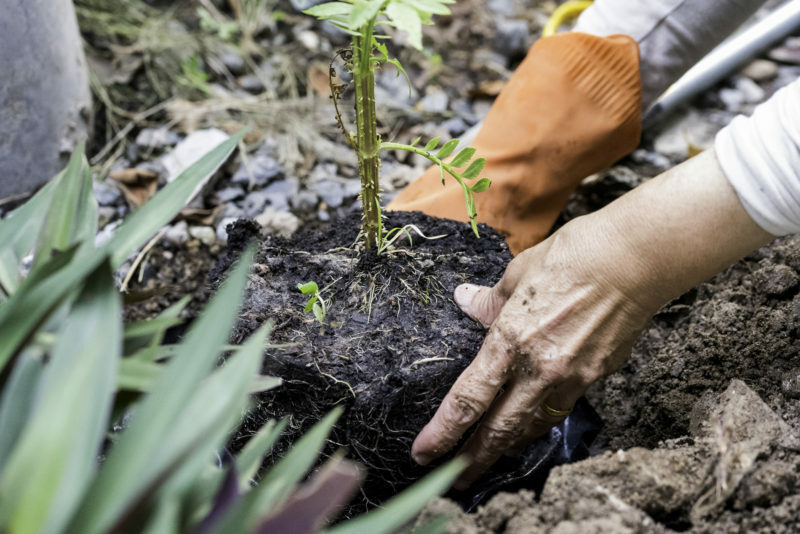 Through the efforts of Trees for the Future, people living in Sub-Saharan Africa have a means of taking care of their families in the present by feeding them now and in the future by setting themselves up for years to come. To learn more about Forest Gardens and the impact they make, visit the Trees for the Future website. 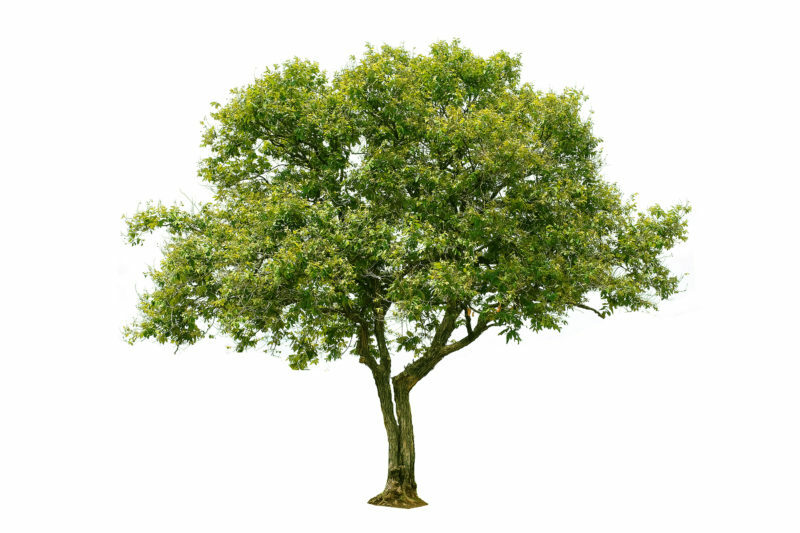 At Trex Furniture, through our partnership with Trees for the Future, we are planting a tree for every piece sold on trexfurniture.com. So if you buy a chair, we’ll plant a tree. If you buy a seven-piece dining set, we’ll plant seven trees. Read more on our commitment to sustainable furniture and a sustainable future here. 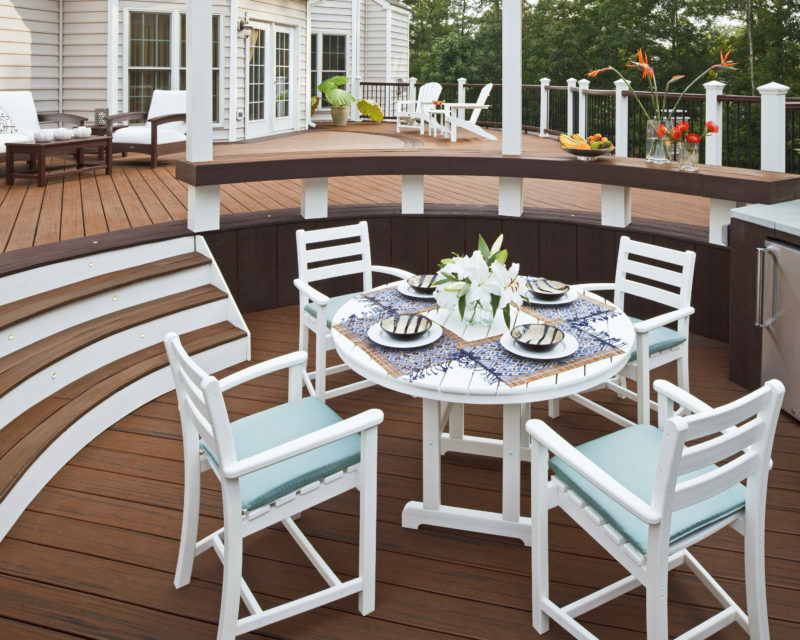 A backyard space or patio simply isn’t complete without the right chair and table set, but the typical go-to choice for outdoor furniture is quickly becoming a thing of the past. As beautiful and intricate as wooden furniture can be, the maintenance costs and eventual breakdown lead to expensive repairs or having to replace each chair and table altogether. What if there were an alternative to wooden furniture made from a material that’s lightweight, virtually maintenance free, and environmentally safe? Meet HDPE. High-density polyethylene (HDPE) is a common plastic that manufacturers in the United States used for a wide range of applications, including milk jugs, bottle caps, and laundry detergent containers. It’s sturdier than standard PVC plastics, serves as a shield against water, and withstands both high and low temperatures. 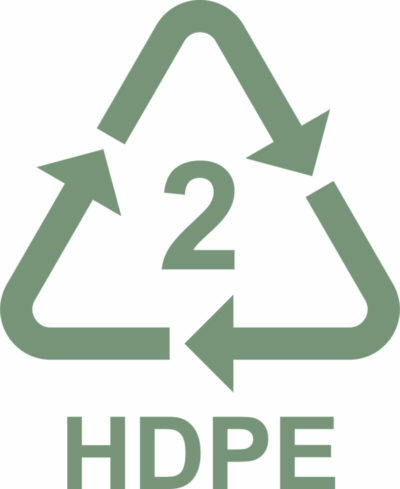 HDPE is also eco-friendly and doesn’t leach toxic chemicals into the soil or water. The following are some of the most notable strengths of HDPE furniture and how each attribute compares to wood when it comes to outdoor usage. Cleaning material. Wood varnish. Sanding paper. The cost of owning wooden furniture adds up fast, and that’s not including the price for replacing each piece after it wears out. HDPE furniture products are inexpensive when compared to maintenance costs for wood. Keep in mind that low costs and cheap maintenance don’t mean you’re sacrificing comfort and style. 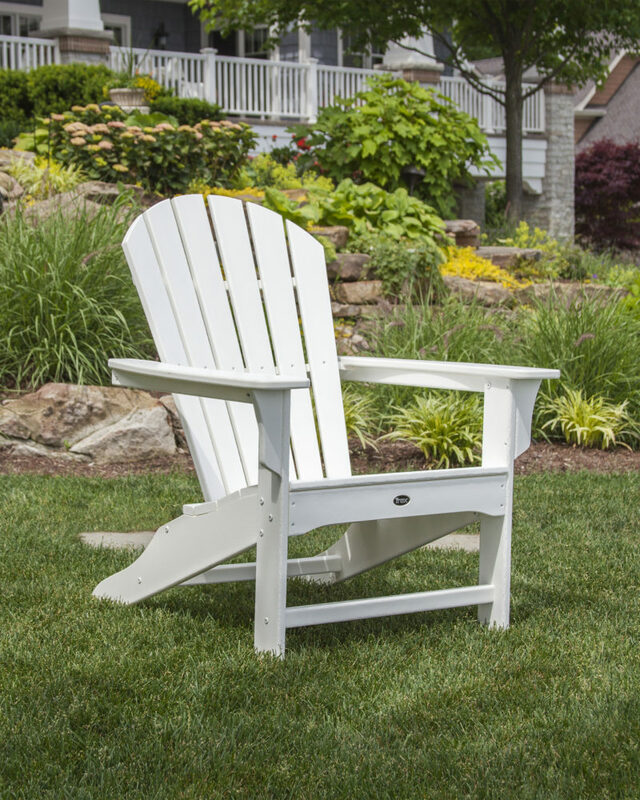 We think it’s pretty hard not to feel relaxed while kicking back in a Yacht Club Adirondack chair. Pro Tip: Don’t forget to winterize your patio space and outdoor furniture as the cold weather sets in. Cleaning wooden furniture can be expensive and take a significant amount of time. While there are plenty of DIY methods to removing mold from a wooden chair, who wants to spend their morning mixing ammonia, vinegar, and baking soda? Better yet, why not just relax in a seat that’s mold resistant altogether? 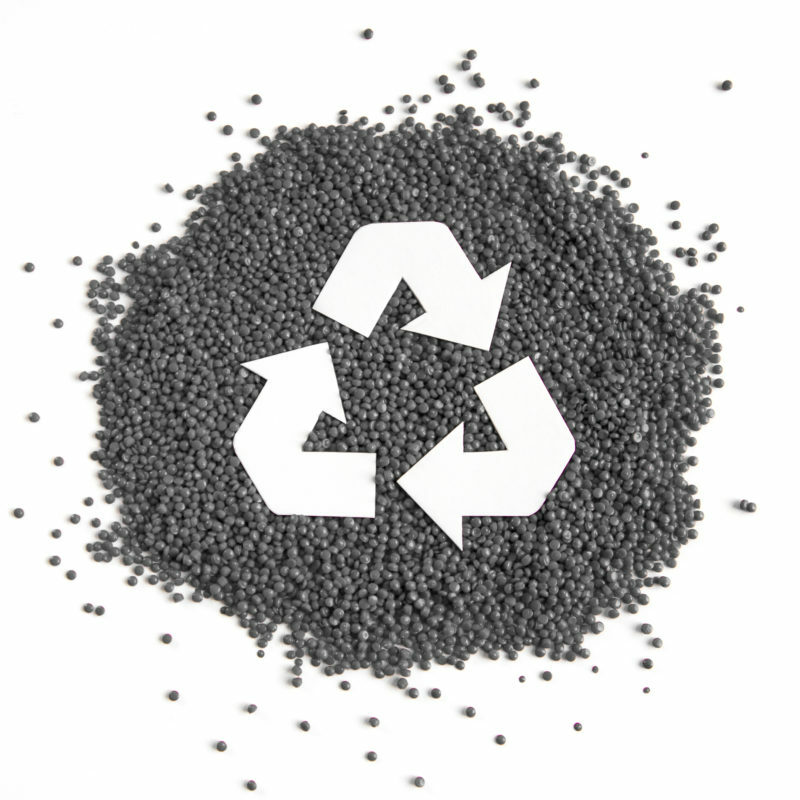 HDPE is easy to clean and requires minimal effort to maintain. 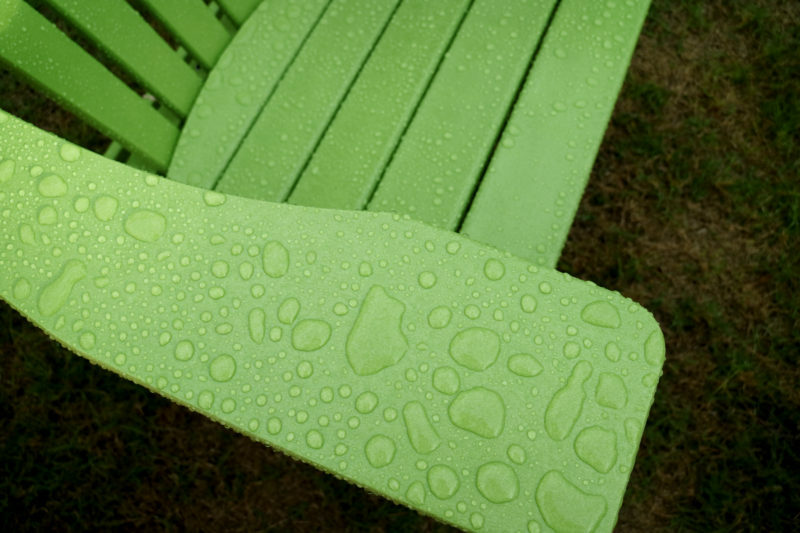 A simple spray down with a water hose or power washer keeps HDPE furniture clean and looking new. Pro Tip: For best results when using a power washer, make sure not to exceed 1,500 psi (the equivalent to a car wash). Find more of our easy furniture cleaning tips here. HDPE furniture is available in a wide range of styles and color selections. As a material, it’s highly malleable and can take almost any shape, making it ideal for creative furniture manufacturers. HDPE furniture is also lightweight, durable, and easy to move around and rearrange to fit your exact needs. 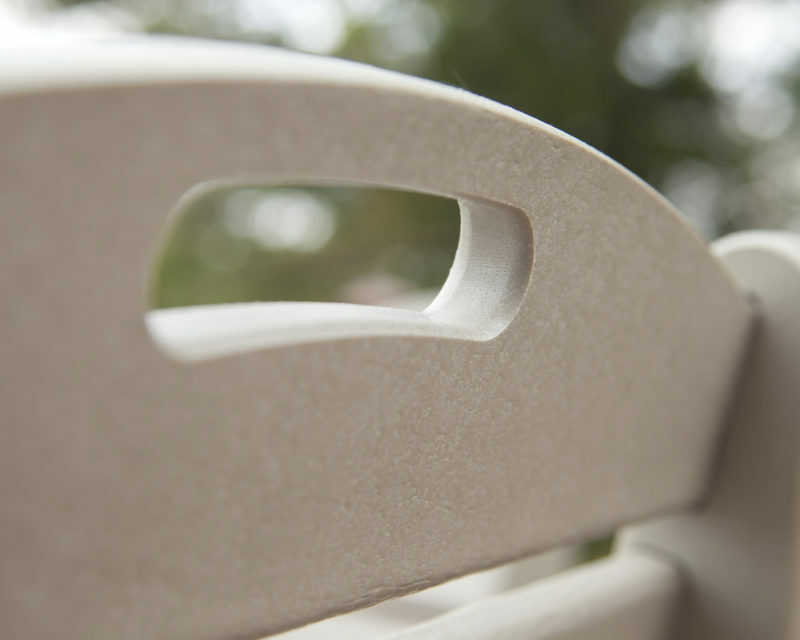 With its textured feel and warm look, HDPE furniture complements any outdoor area and never goes out of style. Pro Tip: Check out these five ways to use your outdoor side table. HDPE is one of the few materials that can go 12 rounds with Mother Nature and come out on top. The material is waterproof and, unlike wood, it doesn’t rot or crack under extreme weather conditions. 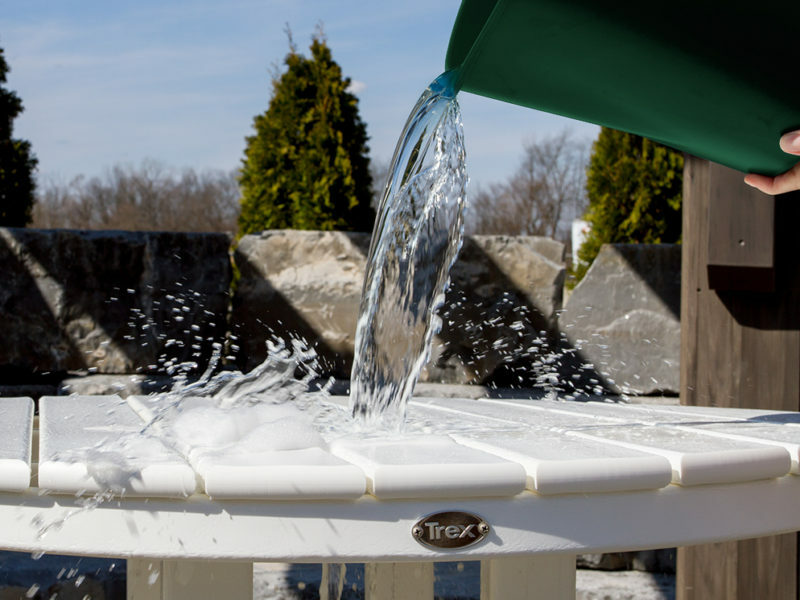 Another added benefit that speaks to the durability of HDPE is its chemical resistance to natural and unnatural substances like body oils or cleaning solutions. This kind of resistance adds years to the life of the furniture by keeping out elements that can weaken the structure or break down wooden materials. Pro Tip: While a high-quality piece of wooden furniture may last only a few years, HDPE furniture can last a lifetime. Deforestation is one of the most devastating impacts humans are having on the earth. 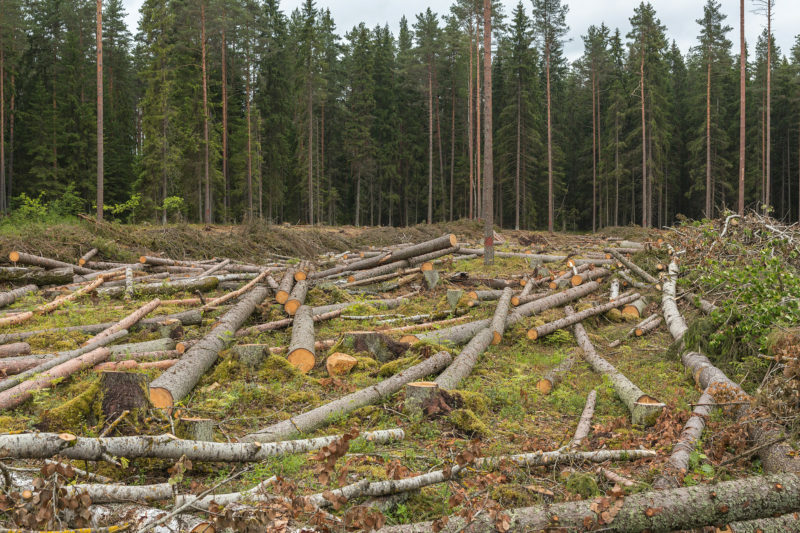 Along with affecting climate change, deforestation can lead to the extinction of plants and animals that are unable to live outside of forests. The use of HDPE furniture helps the environment by reducing the need for cutting trees which then limits deforestation. Manufacturing wooden furniture requires a great deal of logging and has massive consequences on ecosystems. Plus, manufacturing and transportation add significant water and air pollution to the environment. To understand the impacts of other furniture on the earth and your health, check out our Little Chair, Big Impact slideshow. 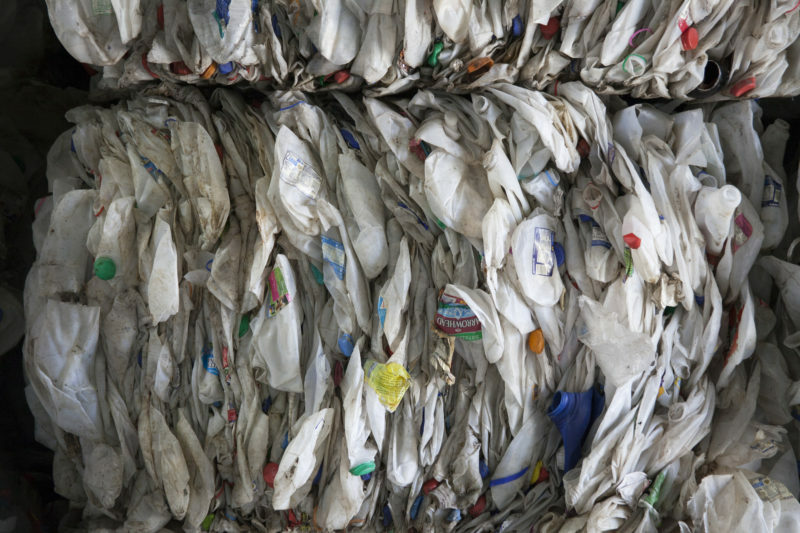 Because HDPE furniture is made up of discarded milk jugs and water bottles, that means all those items that would end up in a landfill turn into a sustainable, recyclable product. At Trex Outdoor Furniture, we’re proud of the way we produce and manufacture our product. Click here to learn more about our HDPE lumber.